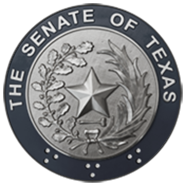 Designate a Texas State Artist on the basis of achievements in two-dimensional media for the year beginning November 1, 1997 and ending October 31, 1998. Designate a Texas State Artist on the basis of achievements in three-dimensional media for the year beginning November 1, 1997 and ending October 31, 1998. Designate a Texas State Artist on the basis of achievements in two-dimensional media for the year beginning November 1, 1998 and ending October 31, 1999. Designate a Texas State Artist on the basis of achievements in three-dimensional media for the year beginning November 1, 1998 and ending October 31, 1999.